Jeremy Corbyn is challenging Conservatives to back his call for more funding for the police and fire service and for the 1% public sector cap to end. Labour has tabled an amendment to the Queen's Speech, which will be voted on on Wednesday. 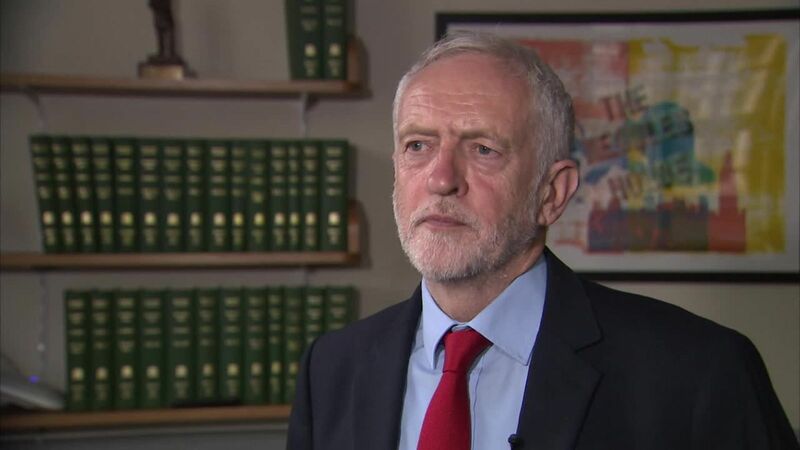 The Labour leader said the first Commons vote of the new Parliament will be a test case for MPs' approach to austerity. The amendment calls for an end to cuts to police and fire services, commends their response to recent terror attacks and the Grenfell Tower disaster, backs more recruitment and calls for the public sector pay cap to be lifted. Speaking to Sky News, Mr Corbyn said: "Cuts in local government expenditure have a price to pay. "There is a link between cuts in local authority expenditure and the level of building control, inspections that have taken place and therefore the safety of the residents in those towers. "We cannot have our citizens living in danger of a fireball."